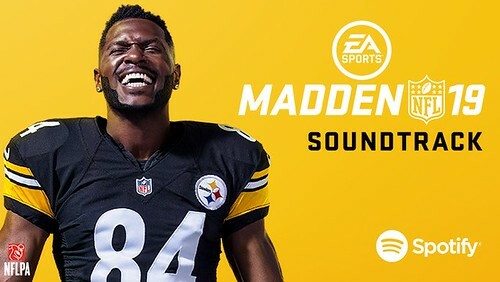 EA SPORTS has released the complete soundtrack listing for Madden NFL 19. The soundtrack will feature 30 songs from artists such as Migos, Pusha T, Cardi B, Nicki Minaj, 2 Chainz, and Lil Yachty. It will also include six unreleased songs including the Migos' “They Can’t Win (Madden NFL 19)” which will be featured in Longshot: Homecoming. More songs will be added to the soundtrack throughout the season each month. In addition, the full 47-minute Longshot: Homecoming score from composer John Debney will be available for purchase and streaming on August 10. 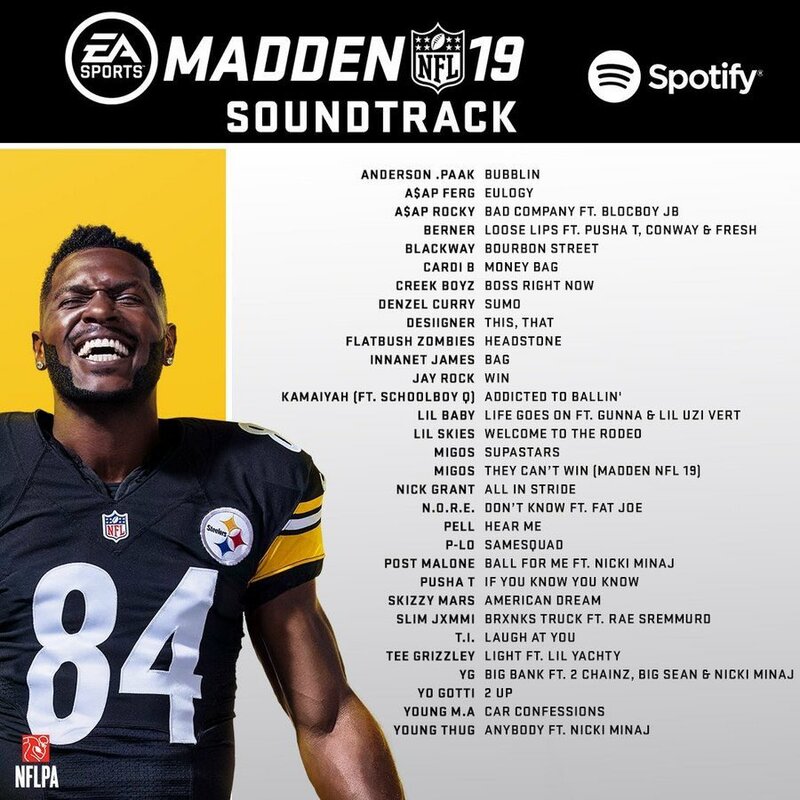 Check out the complete soundtrack for Madden NFL 19 below and listen to it on Spotify. Additionally, a full 47-minute score for Longshot: Homecoming is composed by Oscar®-nominee John Debney – who’s also scored hit movies like Sin City and The Jungle Book – and features a theme song by singer/songwriter Ruthie Collins. The entire Longshot: Homecoming score will be available digitally for purchase and streaming when the game drops on August 10, but you can pre-order your copy on July 27. In Madden NFL 19, we’ll be dropping new music content monthly throughout the football season to keep your experience fresher than that guacamole the guy made at your table last week. Delicious. And just like we’ve done for the last few years, we’ll be updating the Madden Music Mondays (or MMM) Spotify playlist every week, too. Came into thread expecting to not know any of the artists, leaves thread not knowing any of the artists. If there is no NFL Films music to be found, the menus will be silent.